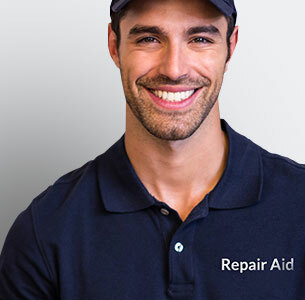 Repair Aid » Help » Dishwashers » What is a Rinse Aid? With many of us now desiring ways to cut down the time we spend on chores, dishwashers have become a highly sought appliance. 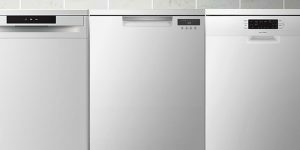 Whether you’re renting a flat, or you’ve just bought your first home, a dishwasher has become a high priority item to have in your property of choice. But when learning about dishwashers, you’re going to come across a few new terms. One such term is ‘rinse aid‘. 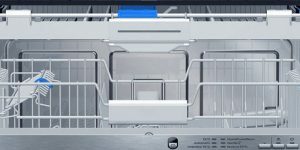 While the name maybe implies a meaning, it still isn’t clear to many as to what it does and why it’s needed if you own or operate a dishwasher. Not to worry if you feel a bit confused – we’re here with a really simple, easy-to-follow guide on what rinse aid is and why you should definitely use it with your dishwasher. Let’s start with what we mean by ‘rinse aid‘. While you may be tricked into thinking that a rinse aid is used to help rinse away dirt from your dishes, that’s not quite what it does. A rinse aid is actually for use AFTER your detergent has done all the dirty work. While detergents and hot water aid in cleaning your dishes of leftover food and residue, detergent can actually get caught on your dishes. This may leave your dishes clean but feeling a little bit icky. Rinse aid helps to remove any residual water, moisture or detergent to ensure that your dishes can be put away straight after a wash cycle has been finished. Think of it as an after-cleaner. It’s quite important if you want particular dishes to look clean and gleam in the light – such as stainless steel pots or glasses. A rinse aid will remove any smudges or water spots that may occur as a result of being in a dishwasher. All rinse aids are constructed a little bit differently with slightly different ingredients, but all serve the same general purpose. A rinse aid basically either uses an organic or chemical surfactant (a compound found in many detergents and foaming/wetting agents) to stop water from sticking to the surface of glasses and dishes. To put it simply: have you ever noticed how water and washing up liquid just seems to sit for ages on certain dishes? This is likely because these items have a non-porous surface – meaning the water has nowhere to go and so just sits there until it naturally dries. Sometimes it’ll often leave behind a streak or a ring of soapy water. A surfactant, as found in a rinse aid, changes the way in which the water and your washed item interact with one another – making the water more likely to fall off the item at a faster rate. What are the main benefits of using a rinse aid? May allow you to reduce the amount of heat used to dry your dishes – saving on energy bills. 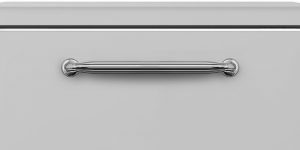 Most modern dishwashers will disperse rinse aid through a special compartment that is specifically for rinse aid. If your machine is older and doesn’t have a rinse aid dispenser, you could always buy detergent tablets that also come with a rinse aid solution. While this isn’t as effective as a rinse aid dispenser, due to dispensers being more efficient in dispersing the rinse aid, it’s the next best thing. It may be possible to install a dishwasher dispenser in your residential or commercial dishwasher with the help of Repair Aid. Get in touch with us today to see if we can help. What happens if I don’t use a rinse aid? When it comes to dishwashers, using rinse aid is not strictly necessary. If you’re looking to save on money, then you can always do without rinse aid. However, if you want your dishes to look nice, dry quicker and be less likely to carry bacteria, then you should definitely use rinse aid. Getting cleaner-looking dishes isn’t something you can achieve by running them through two wash cycles either. If cost (or even effort) is prohibitive barrier for you, then try and use rinse aid every now and then to keep your dishes looking as nice as possible.